Novelist Sarah Waters, bestselling author of Tipping the Velvet and Fingersmith, will be reading excerpts from her eagerly-anticipated new novel The Night Watch at Chawton House Library later this year as part of the Library's 2006 lecture programme. The lectures have been organised by Chawton House Library's Centre for the Study of Early English Women's Writing and the University of Southampton. Chawton House is best-known for its connections with Jane Austen, whose brother Edward once owned the house. It is now home to one of the world's leading centres for the study of the lives and works of women writing in English before 1830. The Library's main aim is to promote and facilitate study in the field of early women's writing. Other highlights of the series are BBC Four Controller, Janice Hadlow, speaking about the reputation of King George III's consort Queen Charlotte in February and Valérie Cossy of the University of Lausanne, on Jane Austen in France and Switzerland - which focuses on early translations of the beloved author's novels. Two University of Southampton experts from the School of Humanities are also due to give lectures. In April, literary critic Stephen Bygrave will talk about education in the 1750s and in May historian John Oldfield will talk about Hampshire life in the late eighteenth century. The series begins on Tuesday 24 January with a lecture about women and education in the 19th century by historian Christina de Ballaigue of Merton College, Oxford. Dr Gillian Dow, Chawton Postdoctoral Research fellow at the University of Southampton and organiser of the lecture series, said: "I am very excited about this year's lecture series, not least because we have some great speakers lined up. There is also a good balance between academic and popular lectures, and I hope there really will be something for everyone." In 1999, the University of Southampton and Chawton House Library formed an academic partnership that now extends to English, History and Music within the School of Humanities, the Hartley Library, the Winchester School of Art, and the Intelligence, Agents, Multi-Media Group in Electronics and Computer Science. At Southampton, the partnership is led by Dr Gillian Dow and Emma Clery, Professor of Eighteenth-Century Literature. 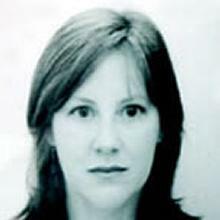 Dr Gillian Dow is an Associate Professor in English at the University of Southampton. A digital image of Chawton House is available from Media Relations on request. Chawton House is the Grade II listed Elizabethan manor house in the village of Chawton near Alton in Hampshire which belonged to Jane Austen's brother, Edward Austen Knight. The house, gardens and parkland, which would have been frequently visited by Jane Austen, have undergone ten years of sensitive restoration to establish a Library and Centre for the Study of Early English Women's Writing from 1600-1830. A major contributor to the project has been American businesswoman Sandy Lerner, through her charitable foundation the Leonard X. Bosack and Bette M. Kruger Charitable Foundation.